The Innovation category is basically meant to attract and salute bright new ideas that push the practice of journalism forward. Some of those ideas are technical in a digital world, some financial in a world where journalism has to survive, some are more simply new ways of doing necessary things. One entry in this year’s category greatly impressed the judges: Tamas Bodoky’s clever interactive map (for Atlasz.hu) that allows readers to play investigative journalists for themselves, following the European Union funds approved for Hungarian use – and seeing what became to them. The judges found it both involving and horrifying. He wins for his brilliant use of WhatsApp communications between the plotters of the Turkish military coup as they struggled, through one long night of chaos, to make their writ run – and found many simple things going wrong, including traffic jams. Triebert’s work for bellingcat.com received great technical help from inside Turkey. It allows his readers themselves to live through the coup that failed, facing minute-by-minute crises. The judges paid high tribute to A.A.Gill from the London Sunday Times, a feature writer and critic (of food and television) who memorably announced his impending death from cancer in the course of a review of a fish and chip restaurant – and charted the flaws in the treatment he received with passionate honesty. The outpouring of public affection for Gill after he died was a prime example showing how journalists – even one with a cutting pen – can become a part of readers’ lives. is Fintan O’Toole of the Irish Times. Brexit, together with the spread of political populism throughout Europe, was one of the great opinion themes of the year and provided a fascinating flood of entries examining the national roots of a continent-wide crisis. Fintan 0’Toole, adding the extra dimension of Dublin alarm, wrote a vivid series of commentaries as Britain voted to leave the European Union. The judges hailed his perspective, his acute observation – and the pungent writing style that make this ideas live. There were more entries in this section than ever before. Investigative journalism – whether with the global data reach of the Panama Papers or the poignant personal focus of Bulgarian babes in arms traded to Greek mothers – was alive and vibrant. Two entries pushed the winner close in the judges’ opinion. One – by Rata Mariana in Moldova – was a masterly exposure of official involvement in the trade of Moldovan-manufactured anabolic steroids worldwide. The judges found it a clear, brave and accomplished piece of work. 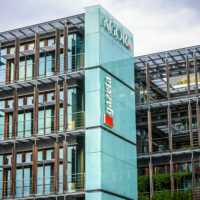 The other close contender, by a reporting team from Ekstra Bladet in Denmark, shows how right-wing movements and their foundations grossly abused the EU system of subsidies, The judges applauded much solid investigative effort from a Danish tabloid paper that got its teeth into a great story and wouldn’t let go. is the Centre for Investigative Journalism in Serbia. 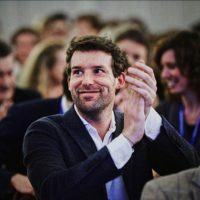 The judges believe that investigative journalism can help bulwark democracy, sometimes when it exposes global levels of corruption, but sometimes when it brings light and life to local communities. There was open admiration for the unflagging work and range of investigations mounted by CIJ journalists in Serbia – stories that exposed corruption charges framed and then forgotten; cases allowed to sink into the sands of time; a judiciary vulnerable to all manner of official and unofficial pressure; indeed, a legal system that promise justice but too often fails to deliver it. These are revelations of the utmost importance to Serbian society. They fulfil the most basic promise of investigative journalists to their readers: they lift the curtains of corruption and let the light shine in. The judges praised a flood of genuinely distinguished writing from all over Europe – and were particularly impressed by Glass Girl from a team at Stavanger Aftenblad in Norway. Here were three reporters detailing the ordeal of “Ida”, the glass girl within the state child welfare system – and forcing the Oslo government to promise that no child will face the same callous problems ever again. A long, meticulous and beautifully written account. 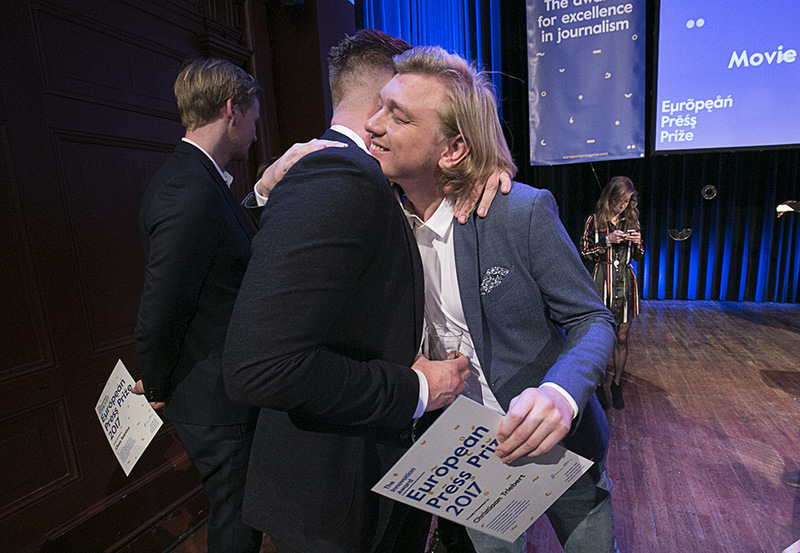 Last year the judges of the Prize gave a special award to many vivid stories of migrant flight across Europe: the press doing its most basic job. This year the nature of that job had developed. What happened to those refugees? Three nominations provided different answers. 71 Lives by Felix Hutt for Stern in Germany unwound the history and tragedies of 71 migrants suffocated in a sealed lorry on an Austrian motorway: a briefly examined tragedy here returned to and dissected. Felix Hutt puts faces and histories to the corpses in the truck – including women and children who chose this particular route to safety almost randomly. The best journalism does not forget. 71 Lives is a memorable reminder of innocent people trapped in evil horror. Step-uncle Sam by Dialika Neufeld for Der Spiegel in Germany looks at what happened to the thousands of unaccompanied child refugees who did make it to safety. Who looks after them, who cares? That, we are told, is a job for a local child protection system – one dramatically overloaded and short of resources. It’s the story of one of these official guardians, Step-uncle Sam, and his absolute inability to be able care for hundreds of children scattered and lonely across the country. The judges found it a beautifully written, compelling and eye-opening account. The Story of Ahmed and Alin by Claas Relotius for Der Spiegel shows what happens when child refugees don’t make it to Europe but find safety only in Turkey. Ahmed and Alin are orphans, brother and sister separated by war and now forced to scrape a living by working for a pittance in a hostile, bewildering environment. The judges thought it a heartbreaking story, vivid, poignant, human and unforgettable. They also decided that choosing between these three contenders was both impossible and unnecessary. is divided equally between Felix Hutt of Stern, and Dialika Neufeld and Class Relotius of Der Spiegel. 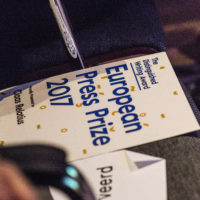 The judges of the European Press Prize are also given the opportunity each year to make a special award to journalists who have performed with particular distinction. This year they were struck and heartened by the number of young journalists (under the age of 28) who were entering their work for the prize and displaying rare talent. “This is the future of journalism”, they said. “There may be anxiety over the pace of digital change and growing inability to fund high quality journalism. But there can be no anxiety over the calibre of people deciding to make a career in journalism and, right across Europe, showing exceptional ability”. As a symbol of that rising generation the judges selected 23-year-old Irina Tacu, web editor at Decat o Revisita in Romania and one of the team who retold and analysed the tragedy of the `Colectiv night club fire in Bucharest which left 64 people dead – an account that showed how it happened, who was responsible and how deep the shock and suffering throughout Romanian society became. Colectiv is a story of young people dying told by young people. It shows journalism’s way ahead.